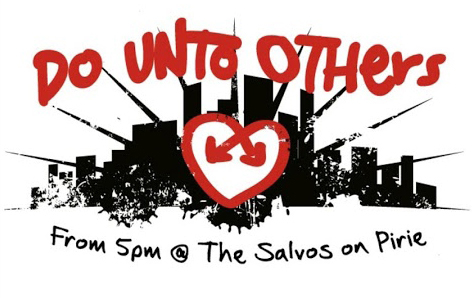 Each Saturday evening, the Salvation Army hosts a Do Unto Others (DUOs) dinner for the homeless, vulnerable and marginalised at their Pirie Street premises. And every 6 weeks for the past 2 years, local members of The Church of Jesus Christ of Latter-day Saints have enjoyed serving as part of the team that puts on the dinner. Activities include setting up tables and chairs, preparing and serving food, clearing tables and reaching out with kindness and love to those who are doing it tough on the streets of Adelaide. In 2018, a minimum of 6 reliable volunteers (16 years or older) are needed every 6 weeks from 4pm to 8pm. What a marvelous opportunity to unite with other caring people in the community to enrich the lives of others! To register to participate for any of the above dates, contact Jared or Kylie Barnes on 8336 7053.